About Our Agency – Walock-Johnson Insurance, Inc.
Walock-Johnson Insurance is an agency built on combining the traditional values of integrity, service and professionalism. We are committed to giving you outstanding personalized service. In fact, since the inception of our agency in 1981, our guiding principle has been professional insurance service with a personal touch. We invite you to call or visit one of our three convenient offices and let us introduce ourselves. 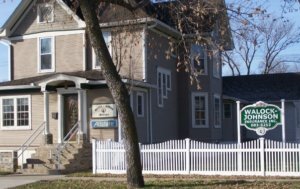 In the fall of 1981, Shirley Walock and Eldeane Johnson started the Walock-Johnson Insurance Federal All-Risk Crop Insurance Agency in Lisbon, ND. Our regular customers particularly value our knowledgeable staff and personalized customer service received at Walock-Johnson Insurance. We look forward to providing our old and our new clients with the service and peace of mind you need. As an independent insurance agent, we are proud to represent a number of top-rated insurance carriers and can market to the best one for your specific needs and budget.